CONGRATULATIONS to the Bellevue University Basketball team, MCAC Tournament Champions! Good Luck to the BU Bruins in the MCAC Championship Game. 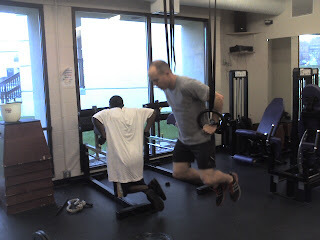 This was the 2nd WOD at BU CrossFit, look back at some of those times, man we were slow and weak then. 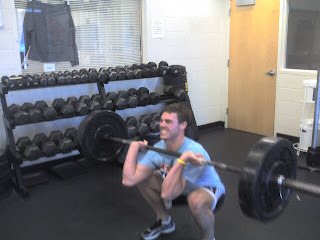 BU CrossFit will close at 12:00 pm to prepare for the MCAC Conference tournament. 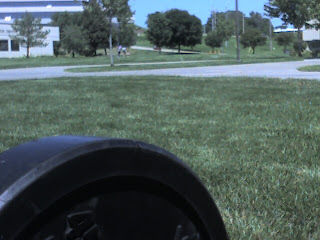 Remember this, Allie, Val and Melissa on a summer day of May of 2009. Start each round exactly six minutes apart. Your rest period is whatever remains after the run. 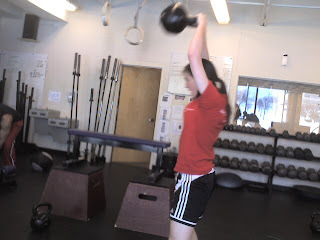 Post total reps and ascents to comments. 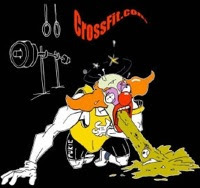 BU CrossFit closed tomorrow at 12:00pm due to Conference tournament. Roxanne and Hana loving the WOD at BU CrossFit. initiates in the direction of the finger tips. "He that is of the opinion money will do everything may well be suspected of doing everything for money." 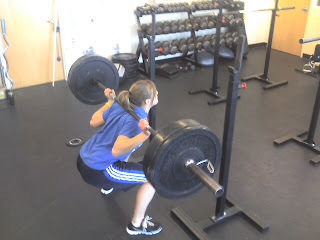 Val and Kara squatting at BU CrossFit. 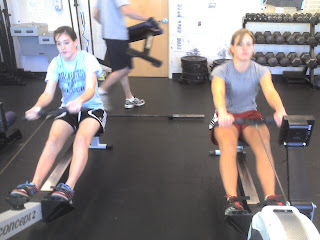 Jenica and Val getting into their rowing at BU CrossFit. Marine Capt. Garrett T. "Tubes" Lawton, 31, of Charleston, West Virginia was killed by an IED strike in Herat Province, Afghanistan on August 4, 2008. 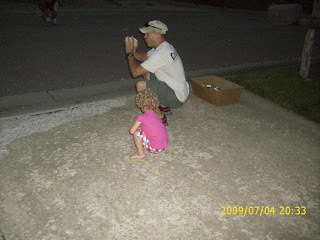 He is survived by his wife, Trisha, and two sons, Ryan, 6, and Caden, 4. Kyle is enjoying meeting Lynda at BU CrossFit. 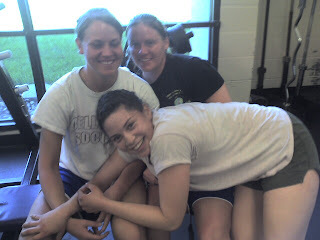 Val and Jenica enjoying another day at BU CrossFit. Patrick Burke (7 rounds plus 4 HSPU), Jason Khalipa and Mikko Salo (6 rounds plus 4 KBS). Kristan Clever (6 rounds plus 5 KBS), Charity Vale (6 rounds plus 4 HSPU), Jolie Gentry (4 rounds plus 3 KBS). Today your WOD will be to work on the movements you wish to improve (the movements you don't like) I will be available to work with you from 8-11. The gym will be open until 5pm as usual. Do the CrossFit Warm up before you start. 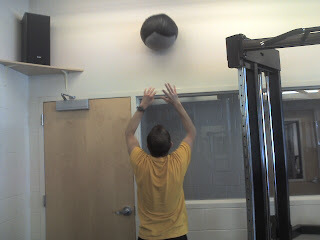 Steve quickly works the wall ball shots, Love it Steve! I thought I would add some color since we haven't seen anything but white for months. 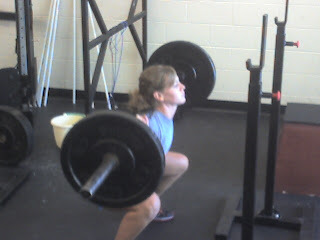 Weightlifting pulling stance and landing stance. Third Battalion, Princess Patricia's Canadian Light Infantry member Corporal Stephen Bouzane, 26, was killed by an IED strike June 20th, 2007 in the Panjwaii district in Afghanistan. He is survived by his parents Fred and Moureen Bouzane and his sister Kelly. 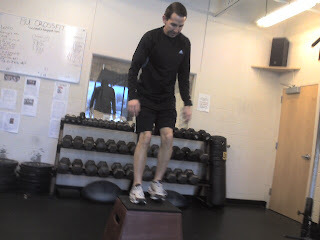 Steve getting into the box jumps as he tackles "Kelly"
Will Gadd, the Endless Ascent, by James Beissel.